The Van Gogh Huis in Veenoord/Nieuw Amsterdam in Drenthe may have been given a real Van Gogh potentially worth tens of millions of euros, local broadcaster RTV Drenthe reports. The painting, which still has to be authenticated, was left to the museum, a house where the painter lived for some months in 1883, by a 92 year-old woman from The Hague. 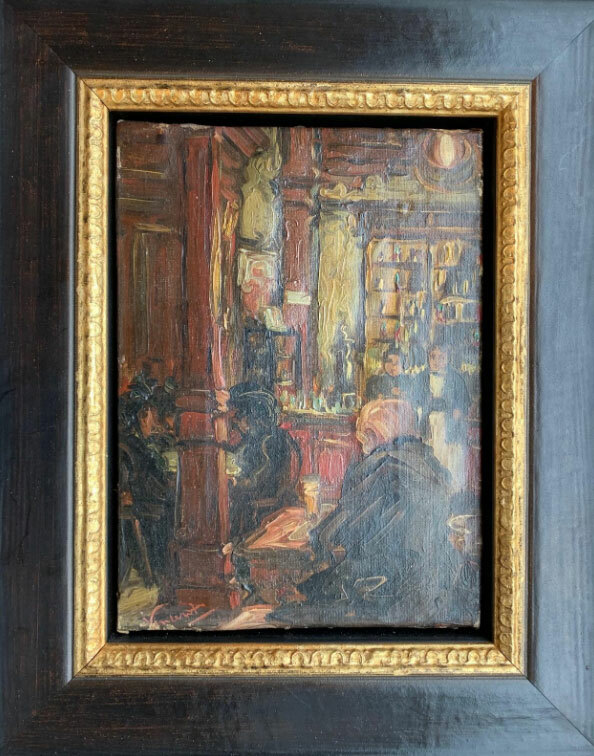 It represents the interior of a bar and is signed ‘Vincent’. The work has sustained some damage over the years and has always been a family heirloom, the broadcaster writes. It will take up to a year to ascertain if it is a genuine Van Gogh and until such time the painting will be kept in a safe. In the meantime, a replica will be on show. No-one knows where the bar in the painting was located. It features a glass of beer but, according to experts, Nieuw-Amsterdam bars served mainly jenever, or gin. The bar was probably located in The Hague where Vincent van Gogh lived between 1869 and 1873 and from 1881 to1883.